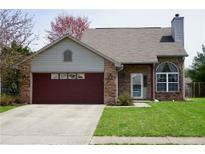 Find Bargersville, IN Homes for sale. View Photos, Maps and MLS Data Now! The Reserve At Somerset - *Equiped w/ several Alexa/Google switches & fireplace. MLS#21632845. RE/MAX Advanced Realty. Southway - Plus plenty of storage in the two car attached garage and freshly painted storage shed in the backyard. MLS#21632869. Keller Williams Indy Metro S.
The Large upper level deck runs the full length of the house connecting to the great room, sun room and master bedroom. Solid value! Immediate possession! MLS#21632123. CENTURY 21 Scheetz. Harvest Grove - Pick your paint colors and move in. 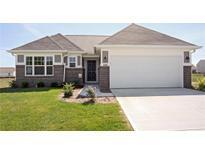 MLS#21632561. Carpenter, REALTORS®. Photos shown may be an artist rendering, model home, or of the same model but located in a different Lennar subdivision due to current construction stage. MLS#21630836. CENTURY 21 Scheetz. There is also a large bonus room on the second floor. MLS#21628199. M/I Homes of Indiana, L.P..
Other updates include: New gas fireplace and custom entertainment center and shelving in family room, new fencing along front of property and updated bathroom. MLS#21628425. F.C. Tucker Company. Wyncrest - All this, still haven't gotten to the basement - unfinished w/ endless possibilities! MLS#21627435. F.C. Tucker Company. The Manor At Somerset - Irrigation system, New Water Heater 2018. Neighborhood Pool and Clubhouse. MLS#21627895. ERA Real Estate Links. 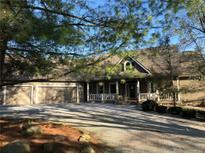 Tremont Estates - All nestled in mature trees, a running creek, and deck! Move-in Ready! MLS#21627974. F.C. Tucker Company. The Reserve At Somerset - Upgrades: 42" kitchen cabinets, stacked stone gas fireplace, 3 car garage, stamped concrete patio, basement is plumbed for bath, irrigation system, dual zone Heil gas furnace, upstairs bonus room & more. MLS#21627590. Mike Watkins Real Estate Group. A surprise element in every room! MLS#21626729. F.C. Tucker Company. The Manor At Somerset - Newer stackable washer & dryer stay.This move in ready beauty won’t last long!Nice walking trails in neighborhood. 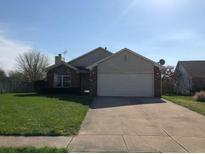 MLS#21626454. CENTURY 21 Scheetz. Photos shown may be an artist rendering, model home, or of the same model. MLS#21625566. CENTURY 21 Scheetz. If that's not enough...this house also features a 4 car built-in garage, huge bedrooms, 2 stone, wood burning fireplaces, a lower level family room and bonus room, and a great room and kitchen area that overlooks nearly the entire property. MLS#21622215. Mike Watkins Real Estate Group. 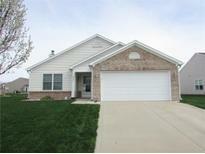 Wyncrest - Just built in 2017 and ready for you to make your own.This beautiful home on a corner lot in Center Grove offers over 3000 square feet,5 bedrooms and 2 and 1/2 baths.Mudroom off of Garage entry and a large open concept great room,dining room,kitchen.Large island with gorgeous quartz countertops.Main level also has a formal living room from front entrance.And a guest bedroom on main level.Laundry room on upper level.Large master suite with huge walk in closet and master bathroom.Loft, living room and bedroom can all be used as an office or a variety of other ways.Come see this beauty today! MLS#21623780. Kleppe Realty Staging and Desi. This is the home where you’Lower Level want to place permanent roots. 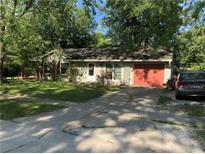 MLS#21622419. RE/MAX Results. Photos shown may be an artist rendering, model home, or of the same model. MLS#21623186. CENTURY 21 Scheetz. Photos shown may be an artist rendering, model home, or of the same model but located in a different Lennar subdivision due to current construction stage. MLS#21623202. CENTURY 21 Scheetz.